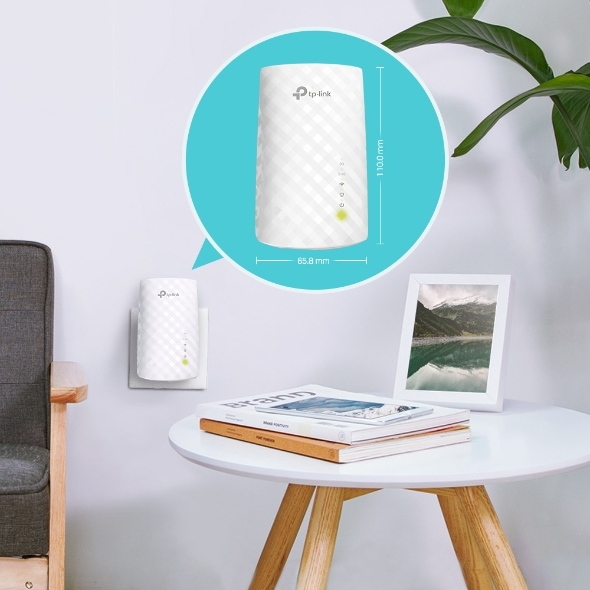 Place the RE220 between your wireless router and wireless devices, expanding WiFi coverage while eliminating WiFi dead zones. 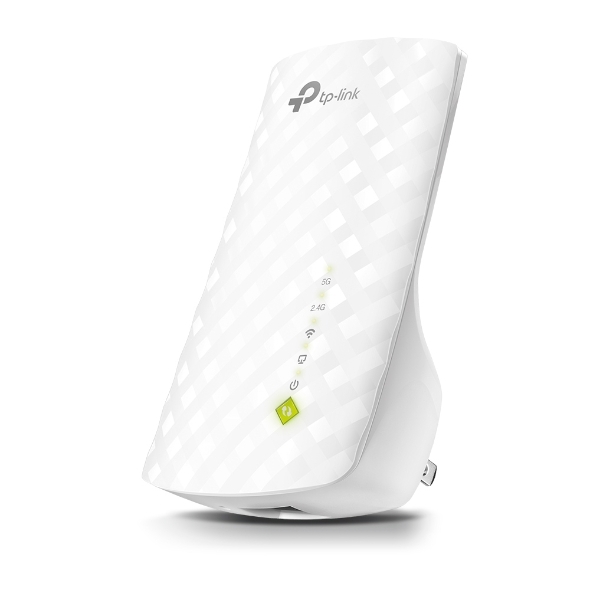 Dual-band WiFi can reach speeds up to 750 Mbps and extends up to can not only extend to 3,200 sq. ft. (300m2) with your router. Make the most of you ISP speeds by streaming HD videos, gaming online and other bandwidth-intensive tasks. The RE220’s wireless AC technology creates faster and stronger WiFi connections across your home and extends dual band WiFi up to 750 Mbps. 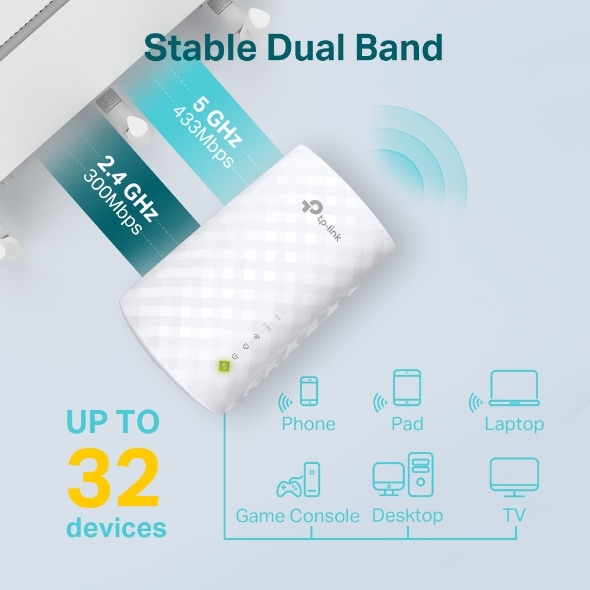 Dual 2.4 GHz and 5 GHz bands provide WiFi connections for up to 32 devices, allowing you to enjoy a stable and drop-free experience on all your devices. extender via Tether app or Web UI if your router doesn’t support WPS. 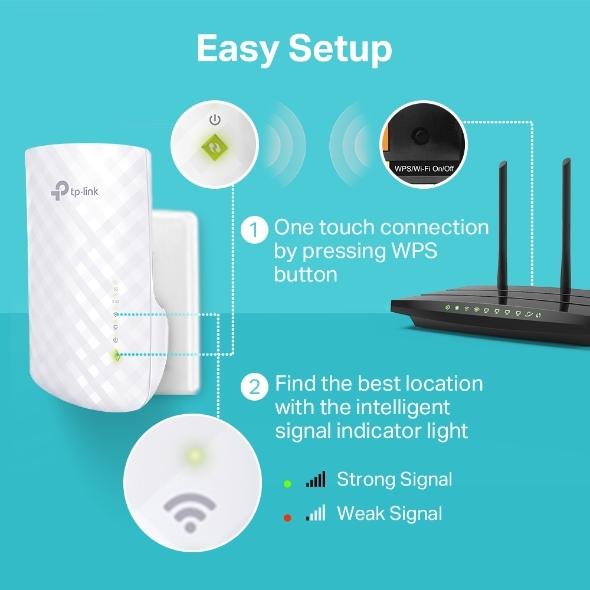 Step 2: Relocate the extender to a better location for optimal WiFi coverage with the help of the smart signal indicator light. 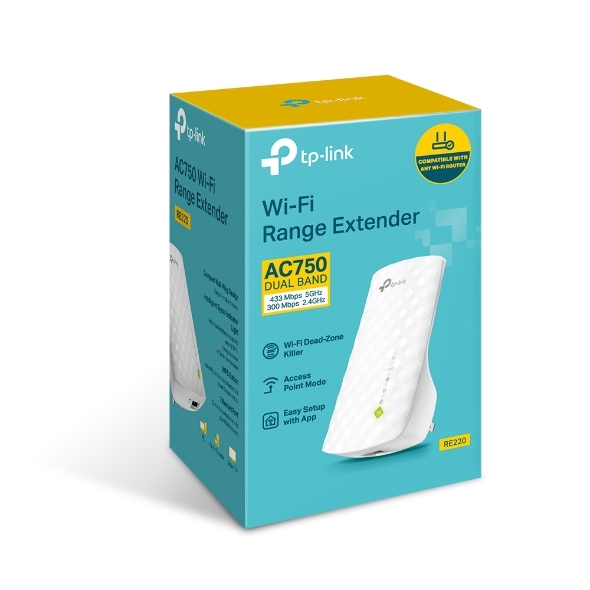 The Ethernet port of RE220 can easily turn your wired Internet connection into a wireless access point. It can also function as a wireless adapter to connect wired devices. 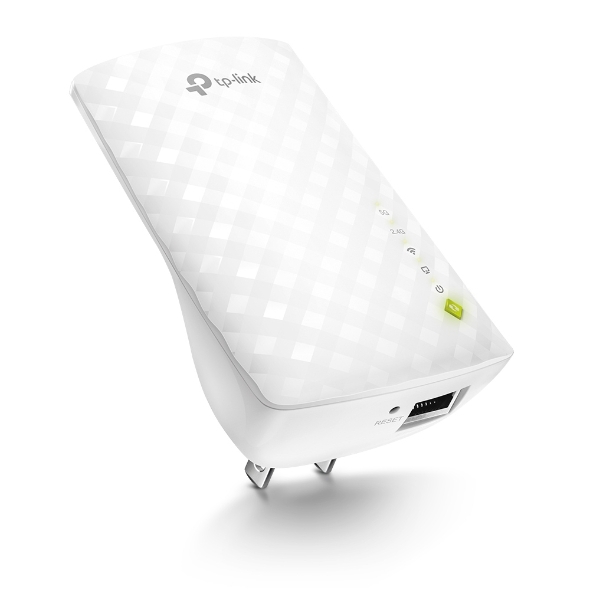 High Speed Mode uses one dedicated WiFi band as backhaul and another dedicated WiFi band as an access point to maximize the bandwidth on extender's WiFi. The RE220 is compatible with any of your existing WiFi router or access points, making it easy to expand and strengthen your WiFi network. 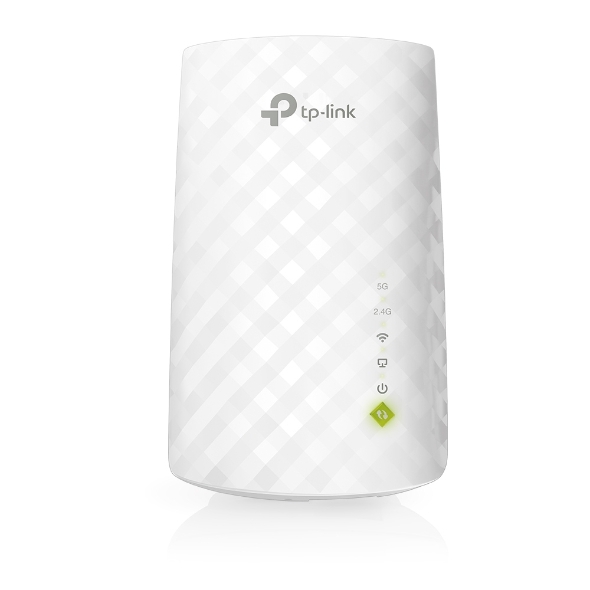 Set up and manage your WiFi through the TP-Link Tether app on your smartphone (Android, iOS).